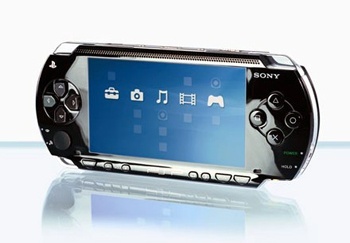 Would you like to get a PSP for free, no questions asked? Great! There's just one catch: You need to go get trapped in a mine in Chile for the next four months. In case you hadn't heard, there are 33 men trapped in a mine half a mile beneath the earth in Chile. Yes, it's a sticky situation, but they're in better shape than some mine collapses in other parts of the earth. For one, they have some access to the outside world - not enough to allow escape, but enough to allow authorities to deliver badly-needed supplies like food, water and medicine. Of course, the bad news is that it's going to take an estimated three to four months to drill a hole big enough to get the men out again (and they're going to have to clear everything that falls down there themselves, so it's not like they're getting an extended break). So even if their lives aren't in immediate danger, they've still got to come up with something to keep themselves entertained for the next twelve weeks. The authorities' solution? Lower PSPs to the men along with the rest of the supplies. You may not be able to see the unblocked light of day, but you can date your classmates in Persona 3 Portable! That's an even trade, right? On the other hand, there's probably a school of thought that thinks these poor men have suffered enough already, and you could at least give them some DSes instead. Man, charging those things must be a pain.